Supermodel of the world RuPaul has revealed today he will be the host of a new daytime talk show coming to US screens this June. The show, which will share the mononymous star’s name, is set to air for a limited three week run on Fox networks around the states. RuPaul promises to bring the drag superstar’s “distinctive voice, exceptional interview skills, passion for helping others and inclusive brand of humour to broadcast television. The program is set to cover everything from celebrity interviews, news and self-help tips including makeup, beauty and style. 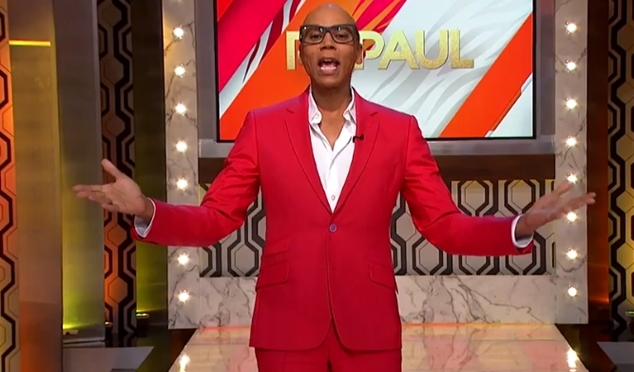 RuPaul says the show is all about spreading love. “It starts with loving yourself, because if you can’t love yourself, how in the hell are you gonna love somebody else,” Ru said, invoking one of his many catch phrases. Get your first look at RuPaul below.